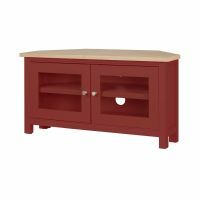 Slotting neatly into a corner, yet still able to house a television up to 50” wide, the Rushbury Painted Corner TV Unit has clean lines and would sit well in any living room that had limited space. 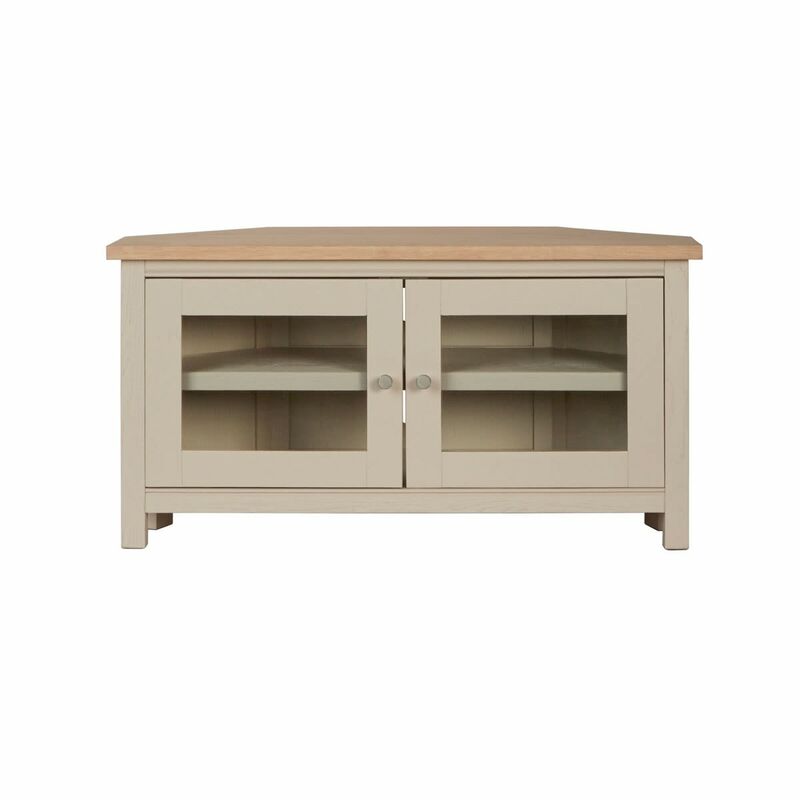 The sturdy cabinet has been carefully built, is hand painted in a choice of six different colourways and has a contrasting oiled oak top. 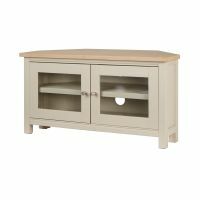 It has a single fixed shelf behind double doors and the hole at the back helps keep wires tangle free. 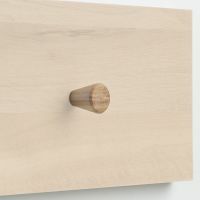 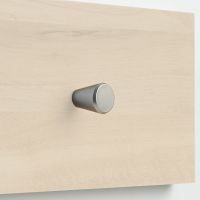 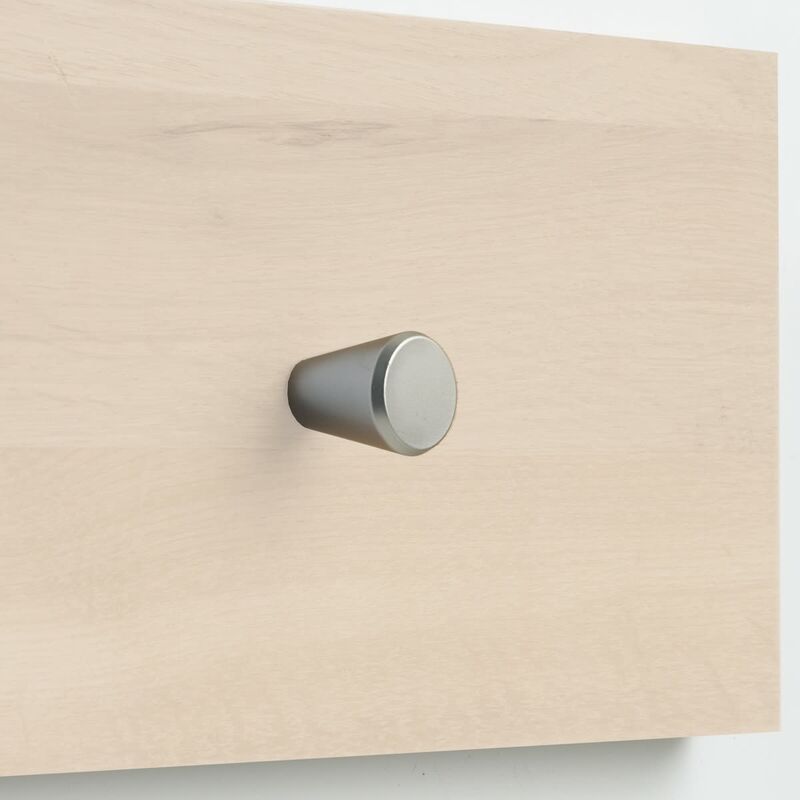 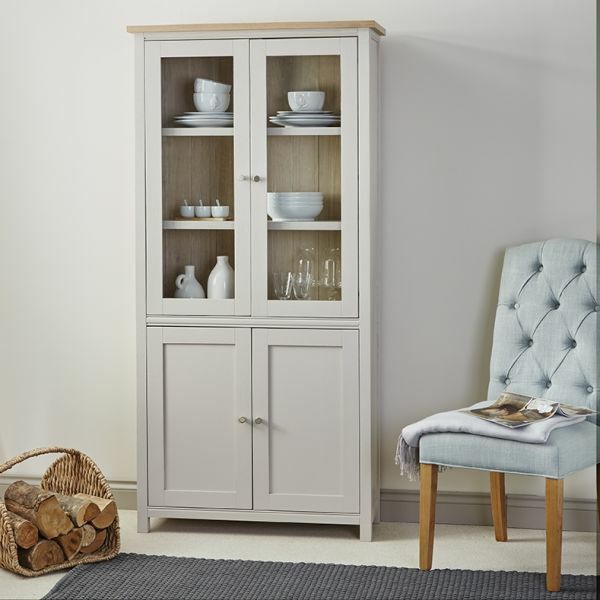 The cabinets comes with a choice of two different elegant handle designs which means you can tailor its final appearance to suit your interior decor. 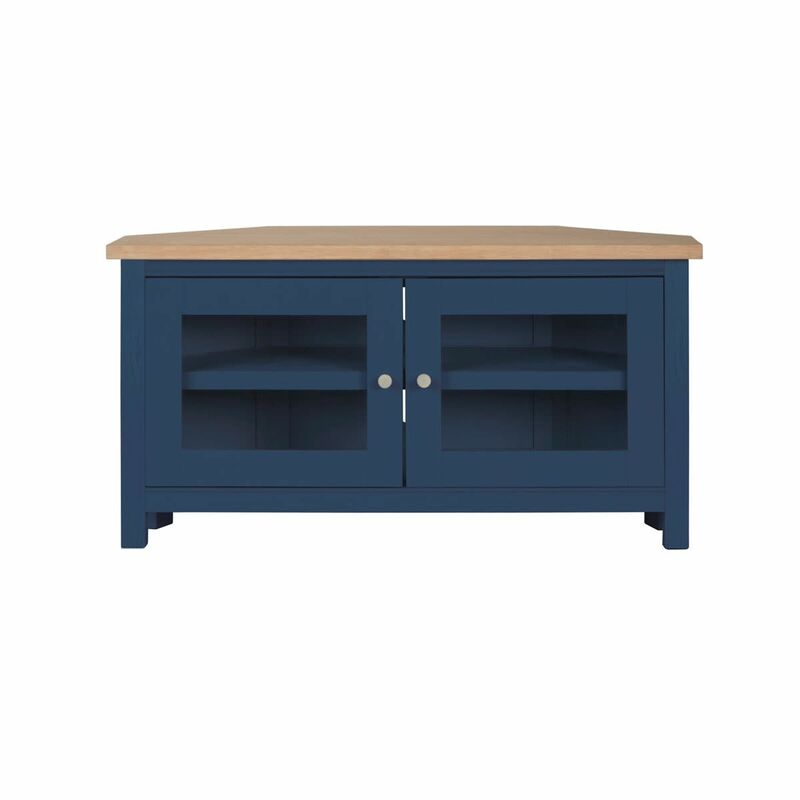 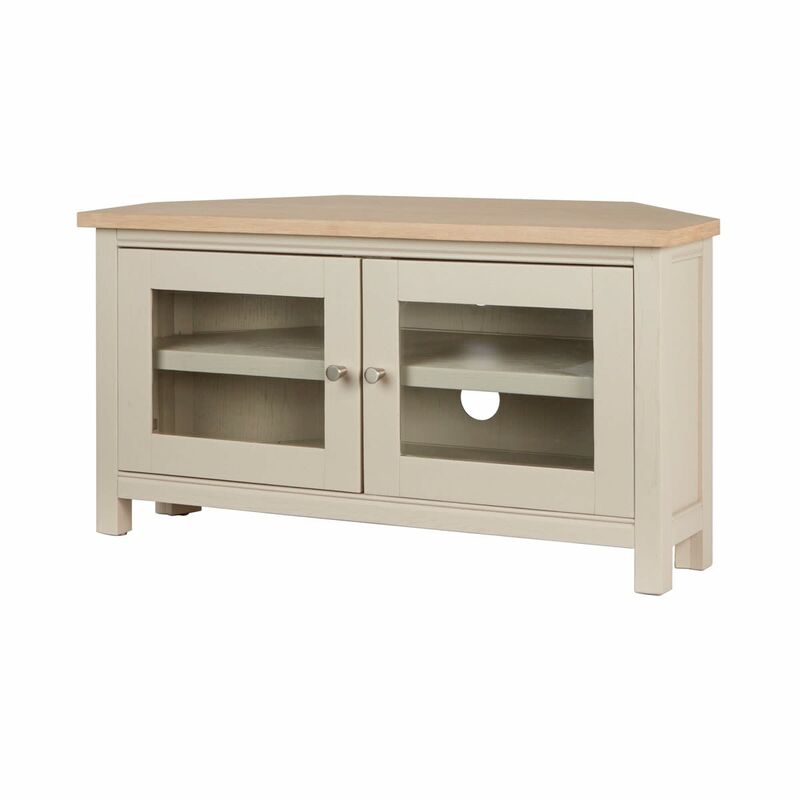 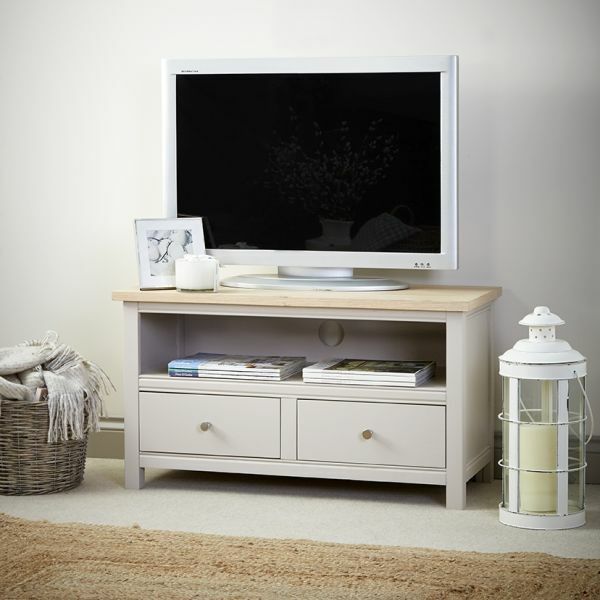 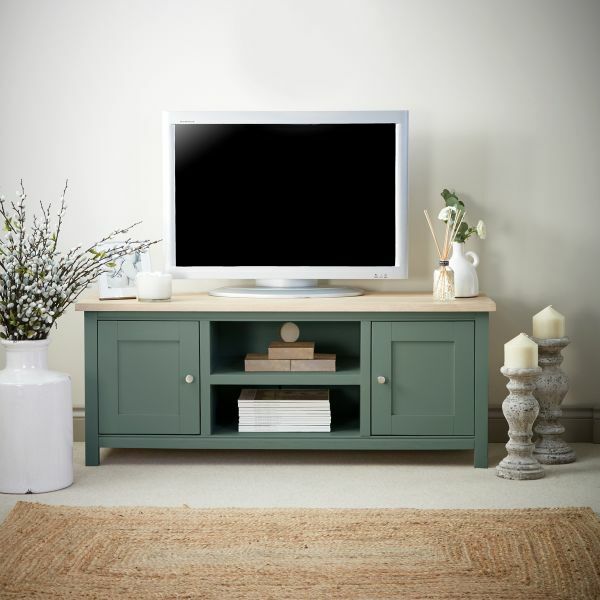 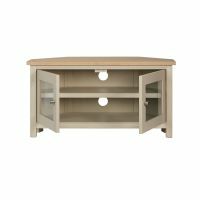 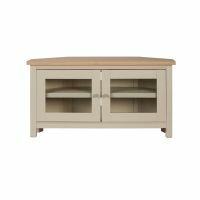 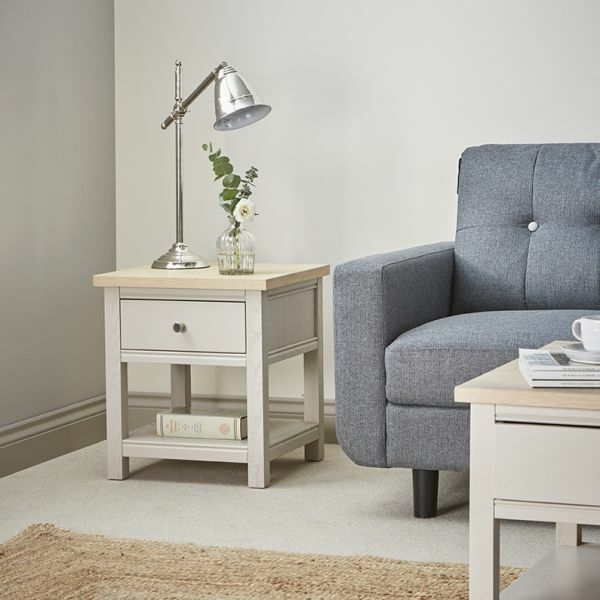 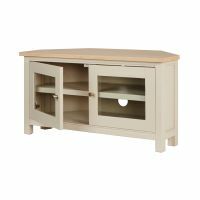 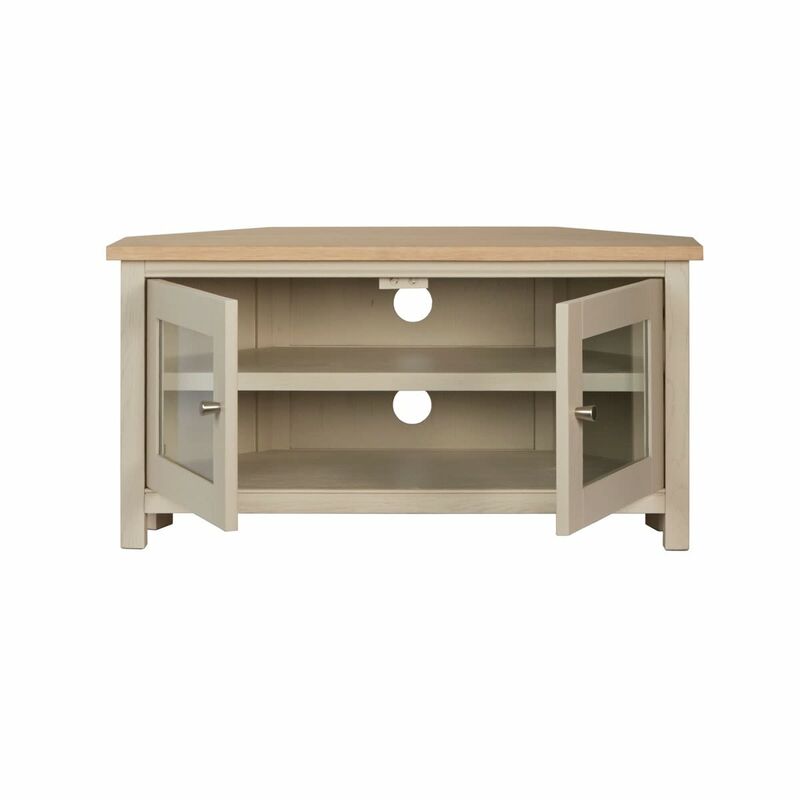 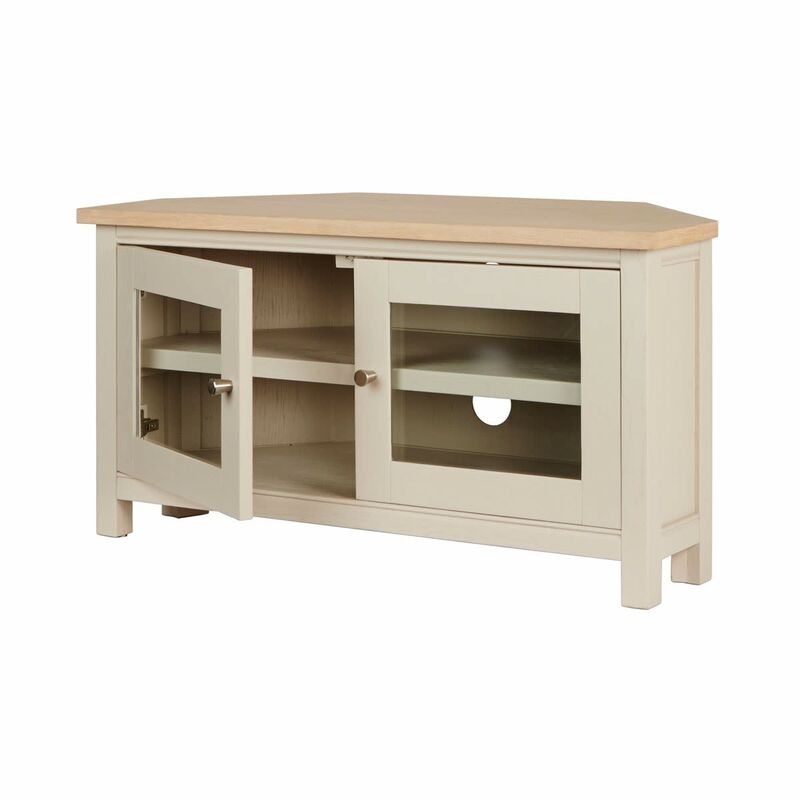 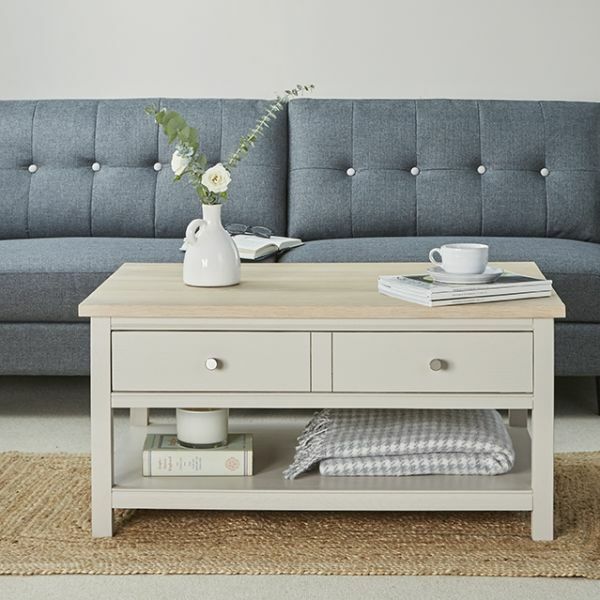 Crafted from oak, with a hand painted finish in a choice of six colour ways, this corner TV unit is made to order, superbly built and delivered fully assembled within three weeks. 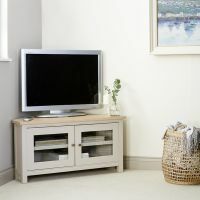 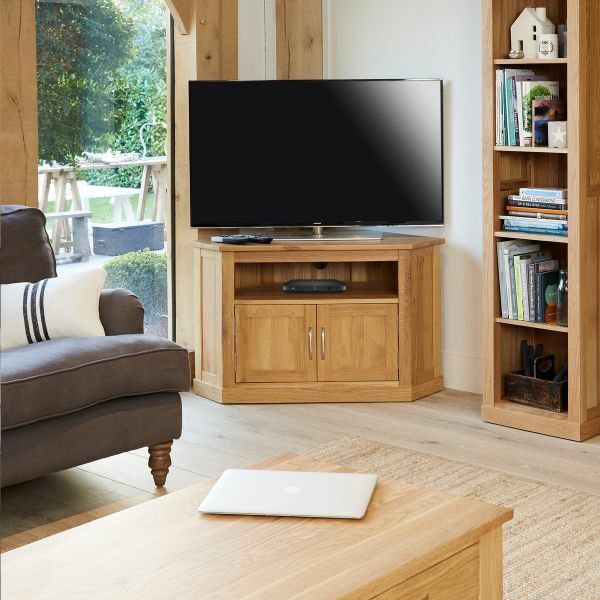 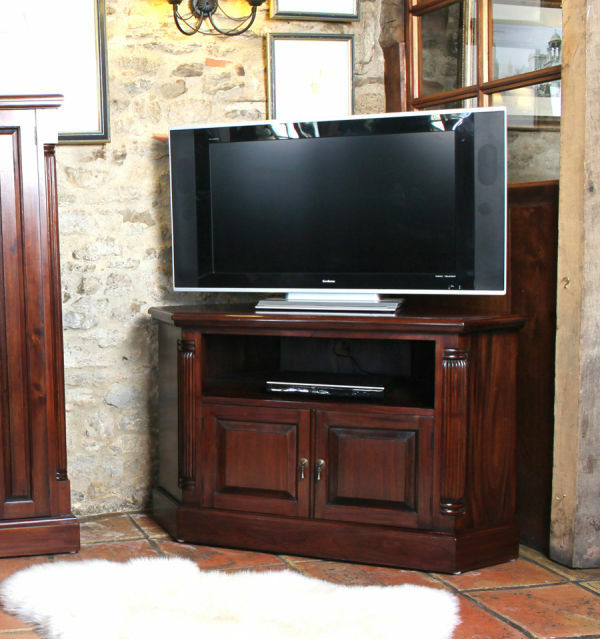 If you're looking for an elegant alternative, why not consider our best selling Mobel Oak corner TV cabinet?